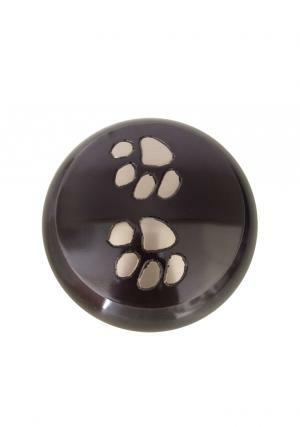 The Paw Print Pet Urn is made of solid brass and hand crafted by skilled artisans with unique touch on choosing color, that is used on the urn. 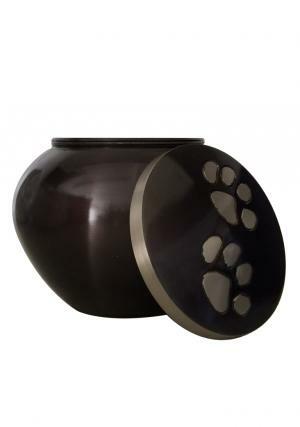 The outer layer of the urn is coated with dark grey,smooth finish. The urn is very broad as that suites the nature of the pet. 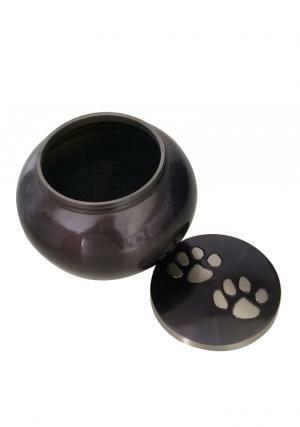 The Urn has a threaded screw on the top for an easy closure or open to secure the ashes in the urn. 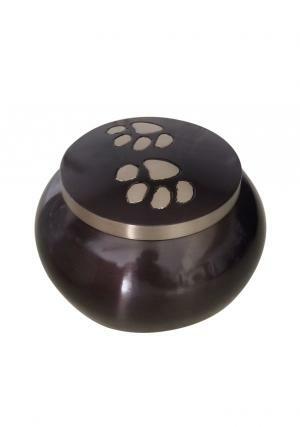 The lid of the urn has golden band around the lid with foot prints of the animal on it that designed by skilled artisans. 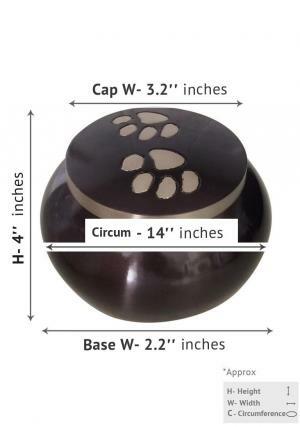 The Paw Print pet urn weighs around 0.54 kg with its height being 4” inches.